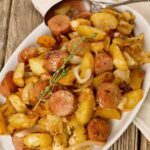 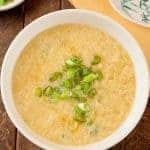 Browse our growing selection of Indian recipes featuring dishes that are both classic and inspired by the flavors and ingredients of this unique and complex cuisine. 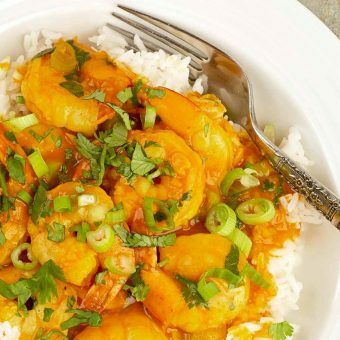 This fast and simple coconut curry shrimp recipe uses easy-to-find ingredients like fresh ginger, garlic, coconut milk, curry powder, scallions and cilantro to make a richly-flavored sauce for simmering jumbo shrimp to tender perfection. 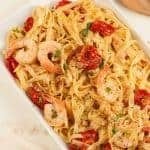 Served over rice it’s a perfect weeknight dinner. 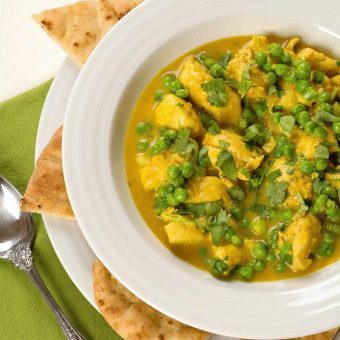 A quick and easy yellow curry made with chicken tenderloins, peas, coconut milk and a fragrant blend of shallots, garlic, ginger, curry powder and turmeric. 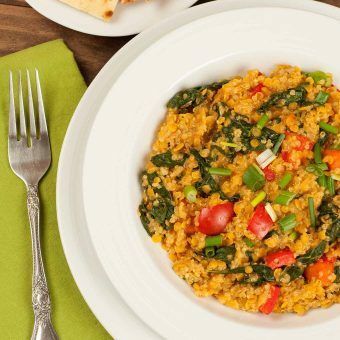 Richly flavored with coconut milk, curry, fresh ginger and spices, this easy vegetarian stew is made with a hearty combination of red lentils, quinoa, kale and carrots. 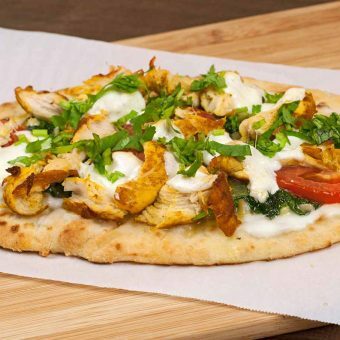 Store-bought naan flatbreads topped with yogurt, sautéed spinach and garlic, tomato, bite-sized pieces of spiced chicken, fresh mozzarella and cilantro. 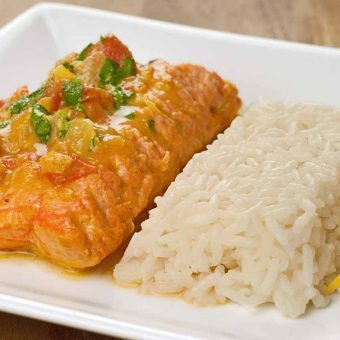 Salmon fillets simmered in an Indian-style sauce made with coconut milk, fresh ginger, spices and tomatoes and served with steamed rice make for an easy, flavorful dinner. 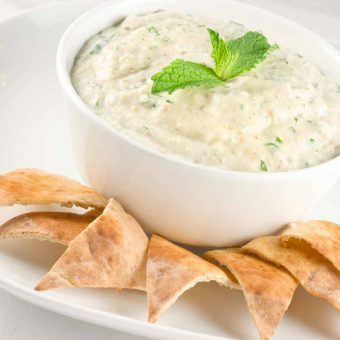 Easy to prepare eggplant raita is great served with toasted pita triangles, thin sliced baguette, even raw veggies. 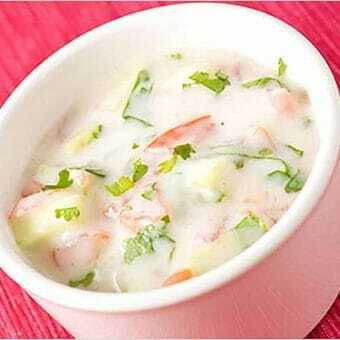 Mix up a creamy Indian-style yogurt sauce to put on wraps, grilled dishes and more.